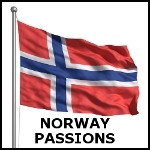 Norway is terrific country with nice nature, very good quality of life, free internet and press. It was one of the best places for me to move. Does vince86 belong in this group? Does rausthei belong in this group? Does sunshineswarm belong in this group? Does noname21 belong in this group? Does mikimiros belong in this group? Does viking67 belong in this group?